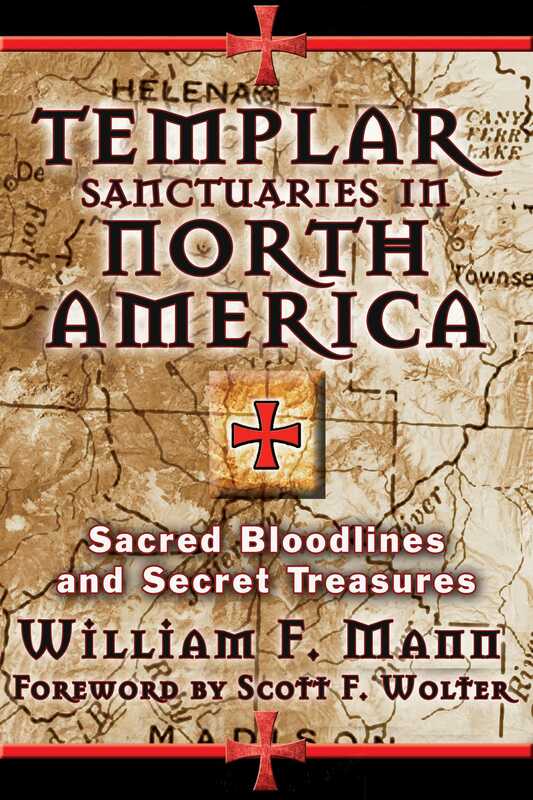 Drawing on his access as Grand Archivist of the Knights Templar of Canada and his own role as a descendant of both Sinclair and the Anishinabe/Algonquin tribe, William Mann examines new evidence of the Knights Templar in the New World long before Columbus and their mission to protect the Holy Bloodline of Jesus and Mary Magdalene. He reveals the secret settlements they built as they moved westward across the vast wilderness of North America, evading the European Church and Royal Houses. He explains how the Templars found refuge in the Sacred Medicine Lodges of the Algonquins, whose ceremonies and rituals bear striking resemblance to the initiations of Freemasonry. He reveals the strategic intermarriages that took place between the Natives and the Templars, furthering the Holy Bloodline and continuing the lineage of blood-guardians. The author explores how Sinclair’s journey from Nova Scotia across America also served to reactivate the sacred rose lines of North America through the building of “rose castles” and monuments, including the Newport Tower and the Kensington Rune Stone. Pinpointing the exact location of the Templar treasure still hidden in North America, the author also reveals the search for Templar sanctuaries to be the chief motivation behind the Lewis and Clark expedition and the murder of Meriwether Lewis. This book is, in part, a very personal story. In the fall of 2011, I received what first appeared as a simple envelope from a fellow modern-day knight, whom I had last met during a visit to Montreal while attending a business conference. The envelope contained nothing more than an 8 ½-by-11-inch color photo of a single-page document, with the original showing damage at some point by fire and water. Thankfully the ink writing was still discernible. The document appeared to have been written on a parchment-thin, light-brown, animal skin of some kind and bore the mark of the St. Sulpician Archives of Montreal. The original, dated June 23rd, 1845, was written in Old French script and was a letter to Monsignor Bourget, then Bishop of Montreal, from Father Brunet, a traveling priest or missionary of sorts. It was Brunet’s stated task to travel the rivers and trails of the extensive Archdiocese of Montreal to the various missions that the St. Sulpicians had established among the larger Algonquin Nation. Brunet was no common lay brother though. He was a direct descendant of one of those lesser French nobility families who had suffered immensely during the French Revolution. Luckily, he had been able to escape from Paris as a young novice with the assistance of his St. Sulpician superiors to the relative obscurity and safety of New France. Curiously, Brunet’s report referred to a direct ancestor of mine from my mother’s side, a Thomas Lagarde dit St. Jean, who had been the main subject of a conversation that I had with a friend from Montreal during my prior visit. We talked about many things relating to the early beginnings of New France and the establishment of Montreal, in part, because of my two earlier books on the hidden history behind the “discovery” and settlement of the Americas. The fraternal bond that we shared during this conversation led to a most interesting fact: very early in the development of the fur trade within New France in the early 1600s, both of our individual European ancestors had married into the Algonquin Nation. This was done purposely to secure trade with the natives and to be able to travel inland along the Ottawa River and Great Lakes into the hinterland of beaver and deer. In my friend’s case, his particular ancestor had been of Scots origin, while mine was of the lesser French nobility who had come to New France with Samuel de Champlain. Both obviously looked to find their fortune in life within the Canadian wilderness. It appeared to be more than mere coincidence that our two families individually determined it to be strategic to intermarry into what, from a formal European perspective at that time, would have been considered to be an inferior race. The twenty third of June, 1845, you [directed or chose] [me] a community priest to evangelize in the distant regions of the North West from the immense diocese of Saint Sulpice. I happened upon the little mission at Allumette Island in the fall the twenty second of September. With two young [Iroquois] Indians from Lake of Two Mountains, I [stayed] [secretly] with a voyager Thomas Lagarde dit St.Jean, [who is] a member of the Masons and also descended from Algonquins. He is a fugitive and has been condemned to death under the authority of the English at Montréal. He is to return in secret to Montréal with the voyager Urquet St. Jean of St. Francis of Templeton, and then retire among the Nipigon. We have the benefit of certain matters which I can discuss with you in depth soon. After reading the letter for the first time, I was simply stunned at the notion that a direct ancestor of mine, over 150 years ago, was a hunted man and condemned to death by the British, who militarily controlled Upper and Lower Canada since the defeat of the French on the Plains of Abraham in 1759. There was also the reference to Allumette Island, a location in the midst of the Ottawa River that has tremendous spiritual and ancestral significance to the Algonquin. But I was also shocked at the notion that Brunet found it important enough to identify Lagarde as both an Algonquin and a Freemason. The official story is that Freemasonry had been introduced to British North America in the early eighteenth century by the many military officers who had been assigned to the various postings throughout eastern North America. But I had come to realize through my own initiations that the higher degrees and orders of both Scottish and York Rite Masonry--Knights Templar to be exact--were actually mirror images of some of the earliest ceremonies and rituals practiced by a specific group of Native Americans, the Old Mide’win, long before the arrival of Champlain in 1604. Was there some hidden Native/Masonic connection to my family lineage? Yet, this is not what intrigued me the most of all when I read the letter for the first time. I couldn’t help but think that I had read the same last sentence contained in Brunet’s report somewhere before. The notion that Brunet had been told or shown something by Lagarde, which could not be spoken about within his letter and warranted a personal audience with the Bishop, suggested a unique “secret” in some manner. Perhaps the information related to the story behind Lagarde being wanted by the British or, perhaps, the information related to something far more mysterious and invaluable? William F. Mann is an officer of the Knights Templar of Canada’s Grand Executive Committee, a member of its Grand Council, and serves as the Sovereign Great Priory’s Grand Archivist. The author of The Knights Templar in the New World and The Templar Meridians, he lives in Milton, Ontario, Canada.